News and Information you need when it comes to Santa Cruz Estate! With Santa Cruz Lending Group P/B Mason McDuffie Mortgage, veterans can buy, refinance, and renovate under one, zero-down* loan program. With the VA Renovation Loan Program, you can include the total renovation cost for improvements in addition to the purchase price or refinance of the house! Please note: Remodeling that includes major structural repairs may require additional cash reserves. Maximum work schedule is 6 months. *100% financing up to VA county loan limits, maximum loan amount $1,500,000. Minimum FICO score requirements apply. Please contact Victor Romero @ Santa Cruz Lending for more information on this and other Santa Cruz home lloan programs. You’ve probably heard it a million times, but one of the best ways to get the best price for any Santa Cruz house you intend to sell is to ensure you do a proper home inspection and perform any outstanding repairs before running ads online, or erecting your FOR SALE signpost. Santa Cruz home buyers do not like to stress themselves and would be more willing to commit to a house that doesn’t have major flaws, a home that would pass an inspection with flying colors. Why put up an uninspected house for sale when you’re just setting it up to fail the buyer's inspection? Uncovering necessary repairs and carrying them out before selling is very important in today's market. The speed of home sales can be boosted by as much as 30% by simply inspecting a home and repairing the significant problems. Dan Steward, president of Pillar To Post, North America’s largest home inspection service said, “It’s cheaper to fix a house than to negotiate the price down. It’s been suggested that for every $1 of identified repairs, the buyer would be looking for double that in price reduction.” This means that spending as much as $4000 to repair all the broken doors and windows is cheaper than lowering the value of your home by $8000 just because your buyers would be doing the repairs themselves. 1. Faulty surface grading and drainage: This could cause water to seep into the basement or crawlspace, and make a mess of your home. No buyer would want such a house with hidden lakes. 2. Faulty electrical wiring. This may include little or no electrical service, inadequate protection for overload and very dangerous wiring connections (often done by amateurs). Who wants to be electrocuted? 3. Damaged roofs: No prospective home owner wants to live in a house where raindrops would keep sinking into. 4. Heating systems: Defects like malfunctioning controls, blocked chimneys and dangerous exhaust venting. 5. Poor overall maintenance of the house including peeling or blistered painted surfaces, crumbling masonry, makeshift plumbing and broken fixtures and appliances. 6. Structurally related problems like damage to components like foundation walls, rafters, floor jousters and window and door headers. 7. Defective plumbing which may include old and faulty piping materials, faulty fixtures and waste lines. 8. Exterior defects including inadequate weather stripping or caulking. 9. Poor ventilation resulting from many homeowners "over-sealing" their homes, resulting in a build-up of moisture interiorly. This can lead to rotting (and suffocation). 10. Miscellaneous components may need minor cosmetic adjustments like repainting or application of wallpapers. 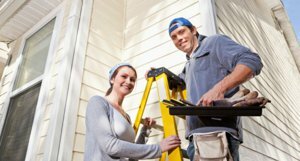 A thorough inspection of your Santa Cruz home coupled with making necessary improvements saves you a lot of time and makes it easier for prospective buyers to make up their minds about your home. Good news everyone! Santa Cruz Lenders are now starting to offer “non-qualified” mortgages (non-QM) in to borrowers whose financial and/or property profiles fall outside conventional loan guidelines. "Conventional loans" are those which are designed to be sold to Fannie Mae and Freddie Mac, and they must meet guidelines set out by those entities to be eligible for purchase by them. Why is that good news? In a nutshell, it means that it's easier for some Santa Cruz buyers to get into a reasonably-priced mortgage if their financial profile puts them "outside the box." These kinds of loans are great for people who are, for example, self-employed, investors, and others who may be asset rich but "cash poor." The majority of loans fall under the typical “qualifying” loans. Programs like Conventional, FHA, VA, and USDA do a good job of qualifying borrowers with a range of incomes, credit scores, and down payments. Lenders however also offer “non-QM” loans to borrowers whose situation doesn’t fall under the “Qualified Mortgage”. The phrase “qualifying mortgage” is a recent since the standard was implemented in 2014 by the Consumer Financial Protection Bureau (CFPB) as an industry safeguard for both lenders and borrowers. Lenders take on greater risk by underwriting and approving non-QM loans, so they require very specific qualification standards to assess the borrower's ability to repay the loan. 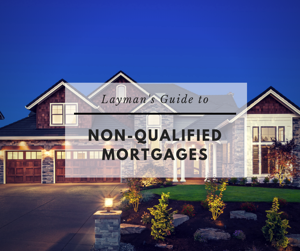 Specifically, lenders offering non-QM loans must maintain a minimum 5% stake in that loan for the life of the loan rather than selling the loan entirely as is typically the case with Qualified mortgages. Non-QM loans allow borrowers to finance a variety of property types with flexible loan terms not typical to the conventional loan market. 1) Jumbo Loan: One type of non-QM loan is jumbo financing. The loan limit for conforming is typically $453,000. High balance exceptions exist for the higher-cost real estate areas like Santa Cruz, Santa Clara, San Benito and Monterey counties. “High balance” loans in these areas may go as high as $679,650 with the exception of Monterey county which is $615,000 for conventional, FHA and VA products. “Jumbo” loans are any loan amounts exceeding these thresholds. You might be asking yourself - what is "asset depletion" and "pledged assets" for qualifying? The non-QM loan program is designed to help borrowers who have low or no reported income but have substantial assets. The program allows the lender to use the assets as qualifying income based on a formula. The assets must be liquid and such examples are large retirement accounts or investment accounts. You should know that these loans may also carry shorter term loans or be hybrid ARMs (adjustable rate mortgages), which are loans that are fixed for 5-10 years and variable afterwards. There are, however, also regular 30 years fixed loans. Rates are normally 2% -3% higher than market rates and costs (origination fees, etc.) are normally twice as much as with conventional loans. As both a direct lender and a mortgage broker, Santa Cruz Lending uniquely positioned themselves to offer a loan program for every need. Give Victor Romero a call at (831) 214-2172 or email at victor@santacruzlending.com with any questions or to set up a free pre qualification or conversation regarding such programs. Congratulations! You’re the latest owner of a fixer-upper in Santa Cruz and you can’t help but feel on top of the world. The next thing that comes to your mind though is: what and when should I repair? What improvements should I make that will really cost-effectively boost my new home's value? Well, if you didn’t ask yourself those questions before investing in a Santa Cruz fixer-upper, you’re already in a lot of trouble. 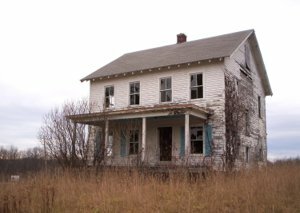 Okay, maybe not a lot, but those are the type of questions you should have been asking before purchasing a fixer-upper. Worry not though, in this article, we present a few rules to guide you as you decide on how to improve a fixer-upper before reselling. For any successful fixer-flip project in Santa Cruz, the secret to success is you have to buy at the right price. You can successfully flip just about any old house - but you have to buy it at the right price. The key is to buy it for less than fair market value whenever possible. It's often hard to find under-priced homes in Santa Cruz that don't get wildly bid up in a bidding war, but if you study the market and strike when the right opportunity presents itself. For best results, you'll want to work with a Santa Cruz REALTOR to help you ferret out the best deals possible. Whatever you’re going to add to the house should add a higher value to the overall price of the house. There’s no point injecting $50,000 into revamping the bedrooms if it’ll only add about $20,000 value to the house. That’s horrible investment. Aim for a three-to-one formula when renovating. Any fix you add must increase the value of the fixer-upper by three times the cost of the improvement. The problem with making subtle changes to your fixer-upper is that there’s no 100% accurate way to estimate how much value they’ll add to the house when considered individually. The key is to group all the small improvements you intend to make into one, and try to visualize an image of what the house would look like when done. Then, its value may be easier to estimate. One badly kept secret is that you can get quite a lot of return on investment by making small fixes, because first impressions matter a lot. Imagine raking the yard and trimming the trees, fixing a mailbox, and placing flowers on the porch. This would subtly impress any buyer, and if you do all those tasks by yourself, you could add a whole lot of money to the original value of the house. Other small fixes that can boost your house’s value include curtains, shiny new switch covers, shelves, doorknobs, a birdhouse, light fixtures, rocks on outdoor paths, faucets and wood stain on decks. All these can greatly influence the resale price of your Santa Cruz flip project. Yep. You can’t run away from them. The basic systems need to be in order, and where necessary, improvements would have to be made. However, it’s important to keep to the three-to-one rule here as well. The kitchens and bathrooms are gold mines for investment. Renovating a kitchen with just $3000 (with maybe a new fridge, retouching the shelves, repairing broken sinks and adding a garbage disposal) can fetch you a return on investment of almost $7000. A mere $1000 injection into the bathroom can add as much as $4000 to the value of a home. Don’t make changes according to your personal tastes, rather according to universal preferences and you’ll be sure to eke out decent profit on your fixer-upper. Santa Cruz fixer-uppers vary in sizes and surroundings and this would determine what improvements to make. They include a garage, new doors and windows, sheds, new painting, tiles, new closets, new toilets and showers or bathtubs, or even planting new trees or growing new flowers. The golden rule to repairing a fixer-upper is to ensure that your improvements fetch you more returns on investment. First of all, if you’re not an actual Santa Cruz real estate agent, don’t try to be one. Stick with being the owner of your house, not the agent. If your wife, husband or second cousin is your agent - that's perfectly fine, so long as they're experienced. If not, please hire a seasoned real estate professional. This article aims to tell you why. You need not be reminded of how many resources you’ve poured into that house you’re about to put up for sale: time, money, sweat. So ask yourself this important question: how can I get the best possible price for my house in Santa Cruz? If you’re thinking of selling your home without an agent, you're already off on the wrong track. Why? Because an attempt to answer that question will lead to more questions like: What is the right price for my house? How do I market it? How sure am I that my buyers are legit? What about closing the actual sale? 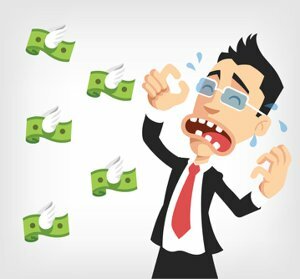 Again, you’ll find yourself stuck in a quagmire of confusion, unless you don’t really care about selling for the highest price and on favorable terms (which is not often the case!). • They have an excellent understanding of the real estate market here in Santa Cruz, have better experience with customer service, and of course, the support of a solid real estate agency. They make your job a whole lot easier. • A Santa Cruz REALTOR is in a better position to determine a suitable price for your house. Why? They know the pricing of homes in Santa Cruz, where it is notoriously difficult to compare your house to current and previously sold "similar" houses. They consider important variables such as the age of your house, number of bedrooms, garages, view, school districts, walkability, functional obsolescence, potential for re-development an so much more in order to calculate a list price close to the value of your house. • Some of us think all it takes to market a home in Santa Cruz is to put up a FOR SALE sign and blast the home out on the Internet. In reality, it’s much more than that. Real estate agents offer you a range of marketing tools like better yard signs, advertisement in local real estate magazines, remarketing through Google and Facebook, listing your house in the local Multi-List Service (MLS) and their company websites, and working with the local brokerage community to make sure your home's listing is being considered by over 1,000 REALTORS serving the Santa Cruz marketplace. • Agents save you the headache of finding appropriate buyers by running clients through a mortgage company before showing them your house. They would also ensure that intending buyers aren’t just coming to tour your house only to kick the tires, but to actually consider buying it. • Chances of you hiring a novice as an agent are slim, so most of the real estate agents would be experienced home sellers who will close your sales quickly and efficiently. They would educate you about your rights, options and obligations. Their negotiating skills would ensure you get the best offer for your property, while handling all the tricky contract issues. 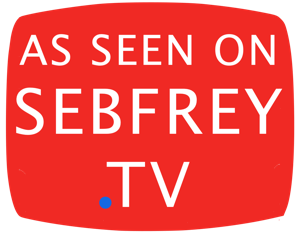 When it comes time to sell your home in Santa Cruz, make the right call: (831) 704-6873 and get ahold of Seb Frey today. A lot of people looking to invest in Santa Cruz real estate have a common problem. No, it’s not that they don’t have enough money for investment, rather they are not quite sure of what type of property to invest in. More often than not, they end up placing their eggs in the wrong basket. Looking to buy, then renovate a property in Santa Cruz either to flip or hold long term? Then read on to know how to find the perfect fit for you. Trust me, you don’t want to place a retirement home in a street lined with college student rentals. Nobody is going to want to stay for long in that kind of place. 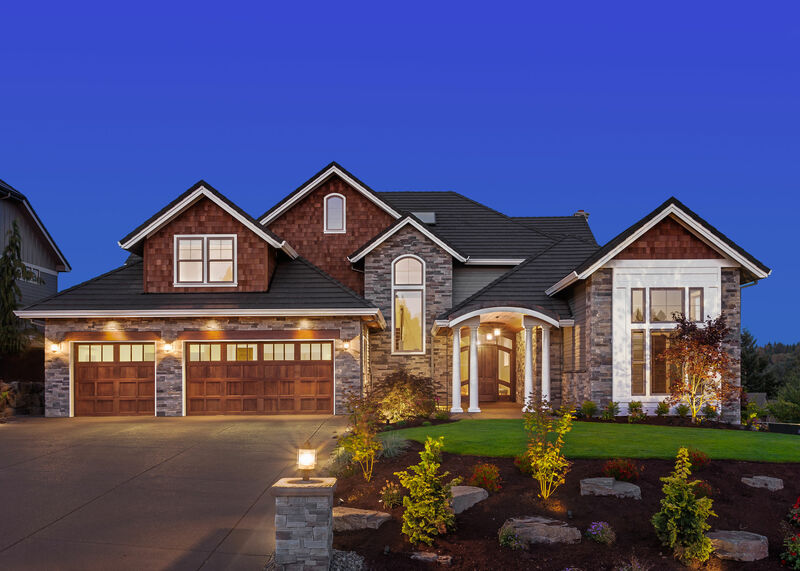 Analyze the area properly to know if the area has been progressively declining in owner occupancy rates because you would not be getting the profit you deserve after renovation. Rather, seek out neighborhoods with steadily increasing growth potential, as these areas have better renewal rates, and the tendency to attract better buyers. You should also ask yourself this question: how safe is this community to locate a family home? (assuming that’s the type of property you intend to renovate.) Is the crime rate high? 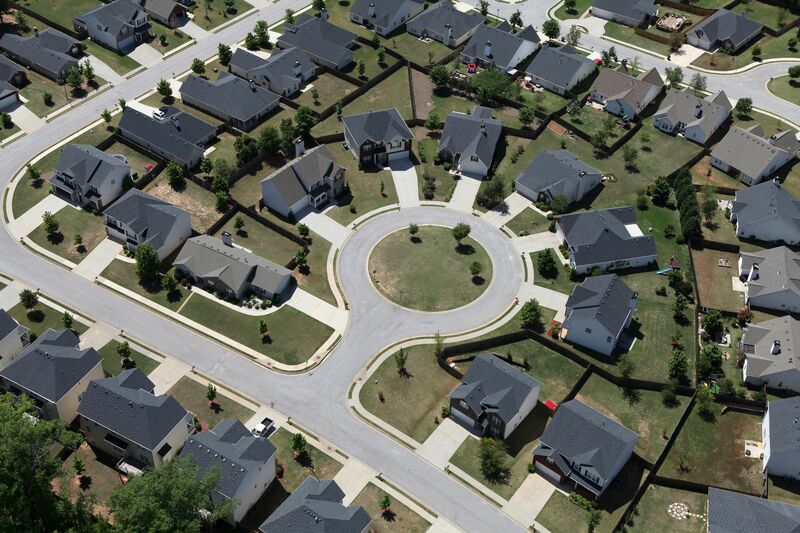 Are there nearby schools or popular parks or walking trails? Parents would want to live in places they feel is safe for their kids, so there’s no need spending so much money renovating a property whose neighborhood you know nothing about. Unless you have so nearly unlimited money to invest in properties that are trending towards blight, ensure you have a thorough look at the house you intend to buy. In fact, this is probably the most important step you need to take before deciding on where to pour your resources into. Go a step further by getting qualified professionals to do the inspection for you, as most times, investors themselves are unable to carry out a diligent inspection of the property. There’s almost always disaster lurking in the shadows when you don’t properly look at a house before renovation, and extra costs will continue to pile up, especially unplanned extra costs. A decent inspection can save you a lot of money. It can be the difference between making either a profit or a loss by the time the renovation is complete and the estate is put up for sale. This is a no-brainer if you want to make excellent returns on your investment. The aim always is to find properties set up at bargain prices so as to ensure profit is made after touching up the properties. Most times the reasons why the houses are bargains do not stray away from mere aesthetics and simple-to-fix repairs. It’s also advisable to first seek for a Santa Cruz Realtor who is willing to do the legwork finding homes which have latent untapped value. Be on the watch for auctions and foreclosures and bargains of this sort. Initially bid low, and increase your bids slowly as you go. While you would likely lose some bids, you’re also likely to find a property with excellent potential at a bargain price. As a final note, remember that you do not have to buy the very first property you see. Keep searching until you find that investment property that meets most of your specifications and you may just stumble upon your perfect opportunity for real estate investment. So you’re sick and tired of your current neighborhood, or you want to move to the other side of town to be closer to the new love of your life, or you’ve recently incurred a lot of debts and you need move into a smaller apartment. Thing is, a good number of us would end up finding ourselves in situations where we have to sell our old homes before moving into newer ones. And of course, we would love to have a decent return on investment while selling our homes, considering the money, time and energy we’ve expended on it. There’s one easy thing you should do to make it easier to sell your Santa Cruz Real Estate for a decent price. So here's why you should consider home staging. There are certain products you see sitting quietly on shelves in a supermarket which immediately grab your attention the moment you set your eyes on them. What’s the simple secret? The manufacturers spent time and money to ensure their finished products were properly packaged. This is exactly what Home Staging is; packaging your home in Santa Cruz in such a way that would have a strong appeal for the largest number of prospective buyers. You can never know exactly how much positive impact Home Staging would have on a prospective buyer, but it certainly goes a long way. As time passes, so does everything on the face of the earth age. Your house isn’t an exception and this is one of the major factors which a buyer would leverage to try to offer you less money than required. Nobody wants to buy goods that are visibly depreciated for huge amounts of money and this is how Home Staging helps you out. Experts in the field of Home Staging know how to overhaul both the interior and exterior of your home, while addressing the defects, all in a bid to put your house in tip-top shape before you put it on the market. Think of it like making a bride up for her wedding day. Home Staging techniques come in various forms, either by attempting to influence the buyers directly through renovating the property or psychologically, by focusing on aesthetics. However, the common goal is to make the sale of the house much more profitable. Direct renovation may involve repainting, repairing broken walls, worn flooring, or old windows while aesthetics might involve renting beautiful furniture and flowers and placing them strategically in the renovated room. One thing you must bear in mind with Home Staging is that it should be done from the buyer’s perspective, and this is where your Santa Cruz Realtor® comes in. Most buyers like their house to be well-lit and spacious, and will look down on any property that looks small or clumsy to them because of poorly managed space. Thus, renting and arranging furniture in your house in an appropriate manner (even if you never used any) and painting with colors that make the house look spacious, shows the buyer how good the house could look when he or she finally makes the purchase and moves in. When you’re putting your house out there, ensure that your buyers fall in love with it at first sight. Before you roll out that ad, be sure to consult your Realtor® to help you put it in great shape. Home Staging isn’t a waste of resources, rather it’s an important investment to make to ensure you make maximum profit from your old house.